"With Japanese origins that go back many centuries, from ancient fighting methods taught and used by the Samurai in feudal Japan." 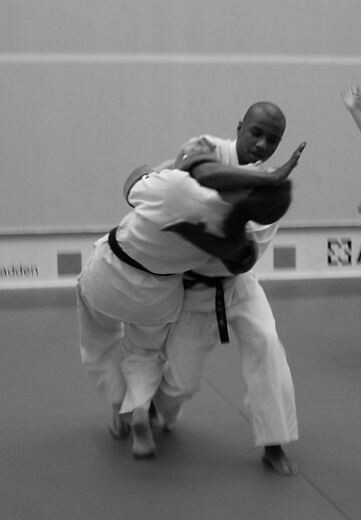 Modern Aikido features timing, avoidance, using your opponents' movement and strength to upset their posture to take control of them using throws, locks or holds. 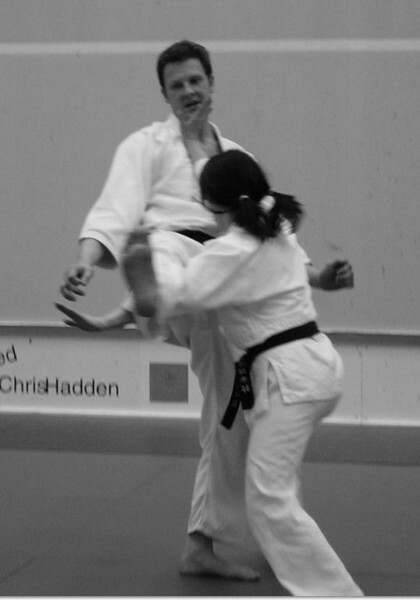 Everyone - male or female, young or old can benefit from Aikido training. 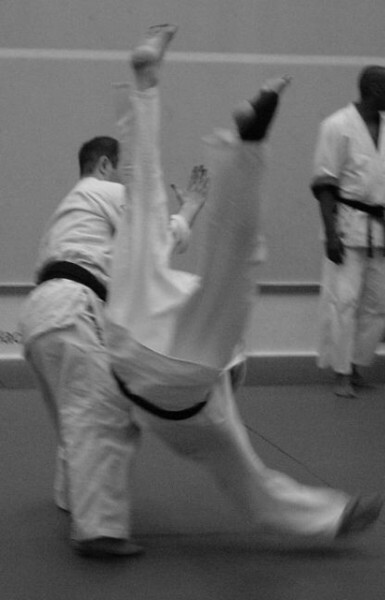 When practiced regularly, it will assist in developing a fitter, more supple and stronger body with improved flexibility, reflexes and reactions. 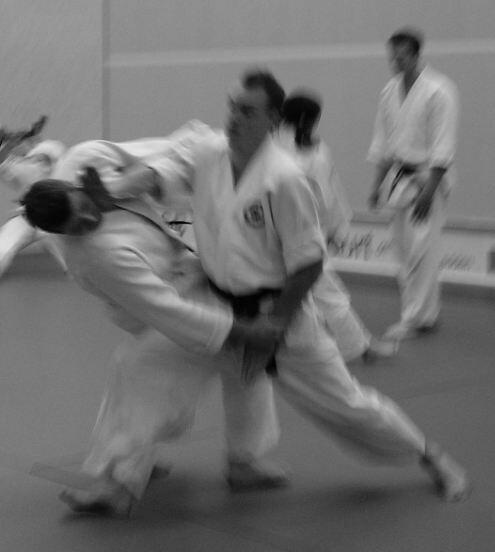 Is Aikido a "Non-Violent" Sport? 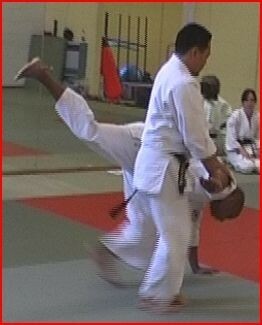 Aikido is essentially non-violent. 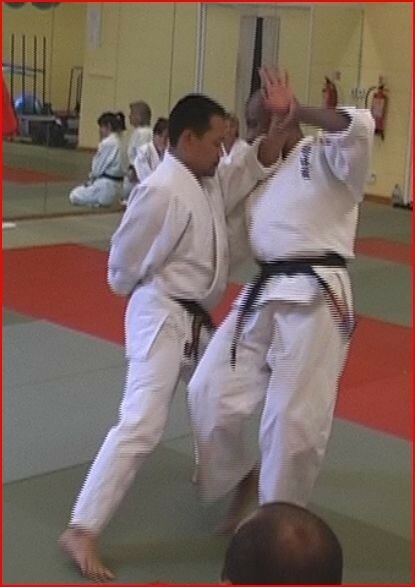 It encourages harmony and avoidance of confrontation. Students will soon learn how to improve their self-awareness, and with the techniques learnt, grow in self-confidence. 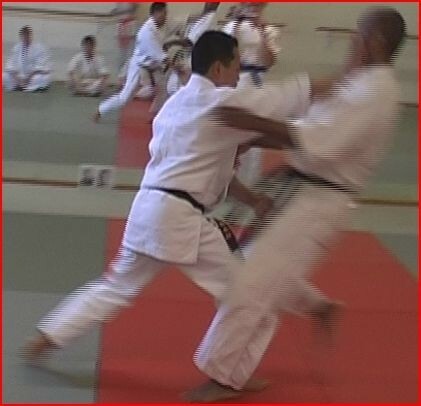 Don't confuse "non-violent" with "in-effective"
Aikido techniques are used by police, prison, immigration and security personnel throughout the world. 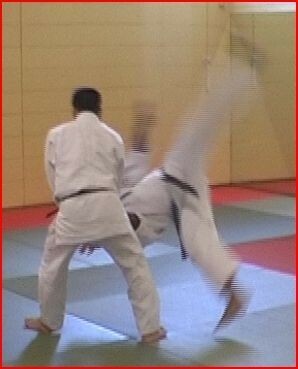 If Aikido was in-effective, it's locks and holds would not be used by them. 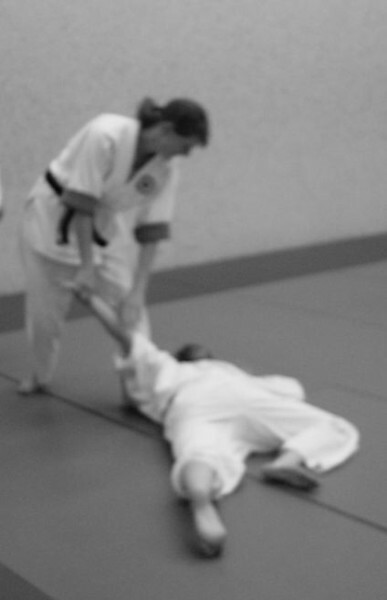 Restraining someone, without hurting them, requires a completely different mind set! 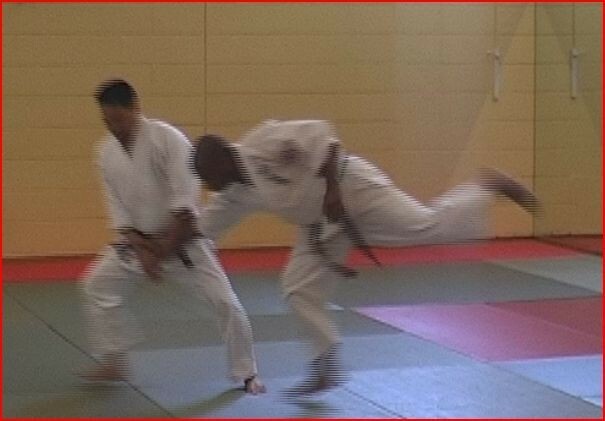 Are weapons used in Aikido? Yes. 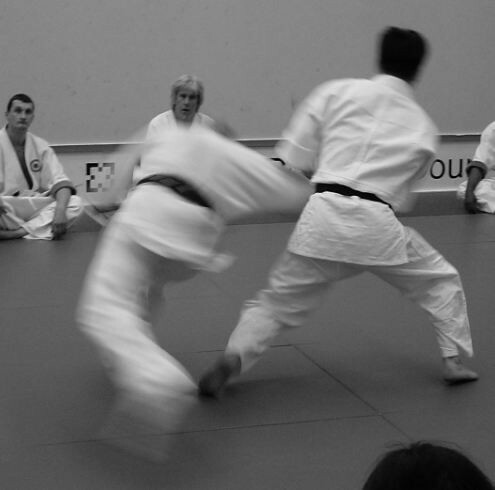 Weapon training (use and defence) is a integral part of Aikido training and is included in virtually every practice session. 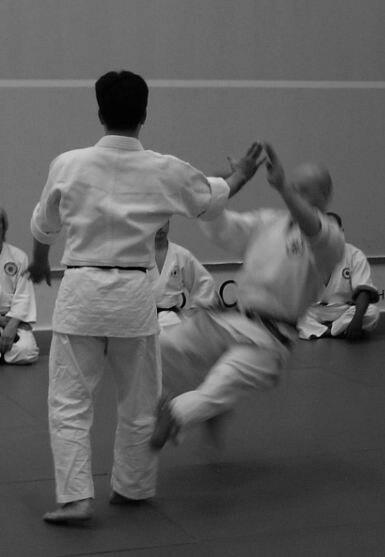 We regularly practice using knife (tanto) as well as traditional Japanese weapons such as the bokken (wooden sword) and Jo (staff). 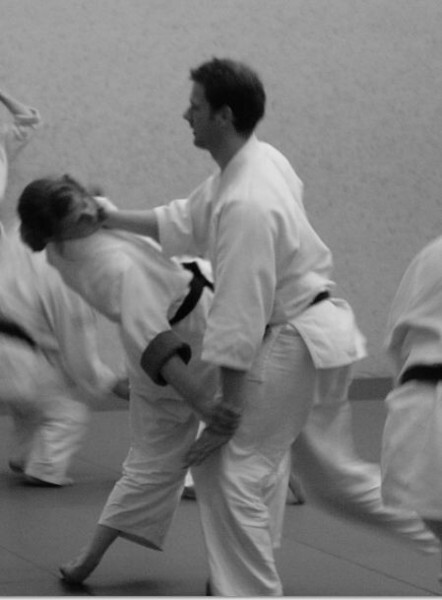 Regular training with weapons helps you build a healthy respect for and awareness of them. 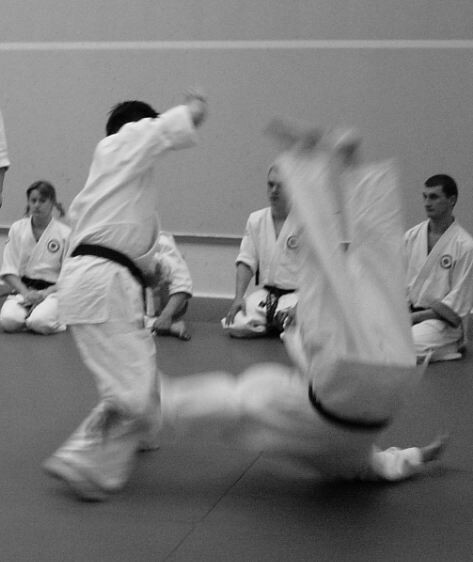 Is Aikido good for Self Defense? Yes... 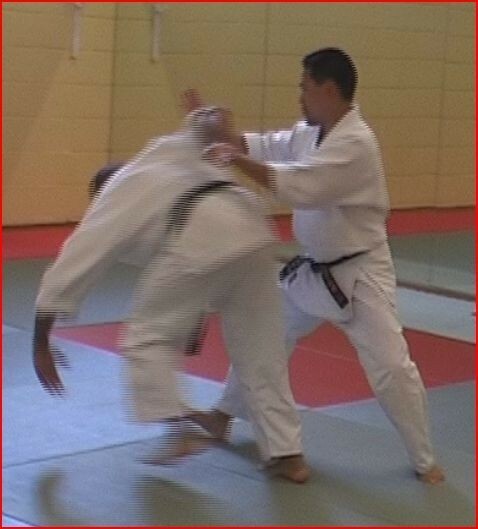 BUT we do not teach Aikido as a self-defense form, we do Aikido as a martial art and there is a significant difference between the two! 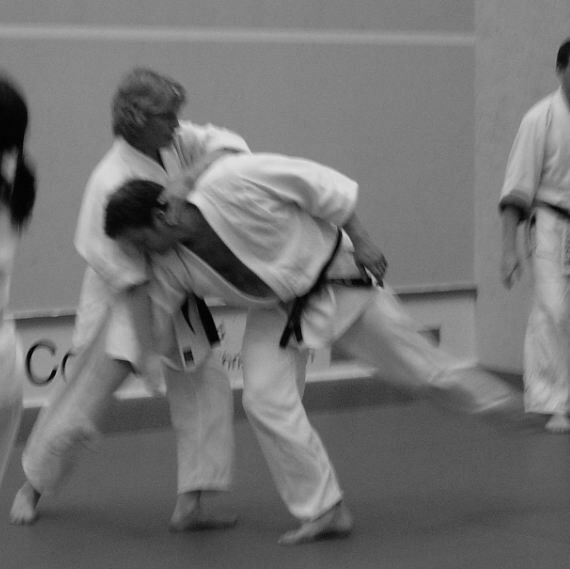 How long will it take to get good at Aikido? It's QUANTITY & QUALITY. 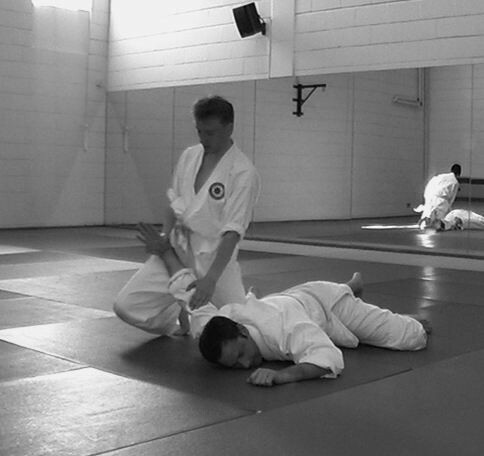 You need tons of time spent training but it has to be the right kind of practice. Just showing up is not enough, you need to continually challenge yourself with the right kind of effort. "Deliberate Practice" is a specifically defined term. 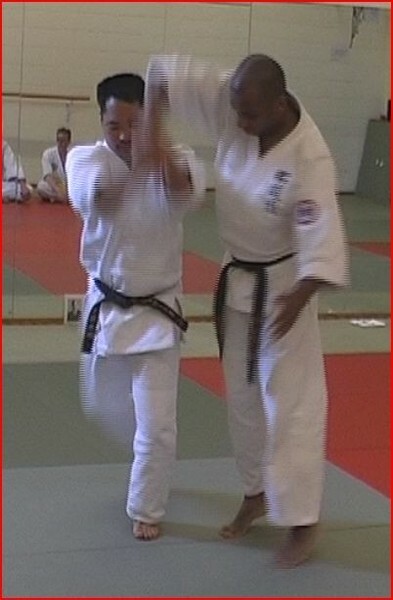 It involves goal setting, quick feedback, and countless drills to improve skills with an eye on mastery." Taken from: "What It Takes To Become An Expert At Anything?"